BEYOND Bram Stoker’s Way of The Vampire by sarah nean bruce ~ Chapter 2 (in HD) « sarah nean bruce ~ living in urbia…. 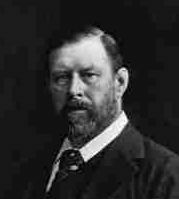 Footnote: BRAM STOKER’S WAY OF THE VAMPIRE continues to get recognition and boasts it remains on several of the *Bottom Worst rated films of the Internet Movie Data Base* – IMDB.com (Worst Thriller Feature Films; Worst Action Feature Films, Worst Australia-M titles). Perhaps one of the reasons why the SyFy Channel continues to air the film (with moments of horror and beauty) is because people still Watch it & Rate it! And even though this film has been referred to as “Another ‘Asylum’ travesty,” many Blockbuster Video stores still offer this title on their shelves as well as rent it online, but not many others from the ultra low budget production/distribution company.